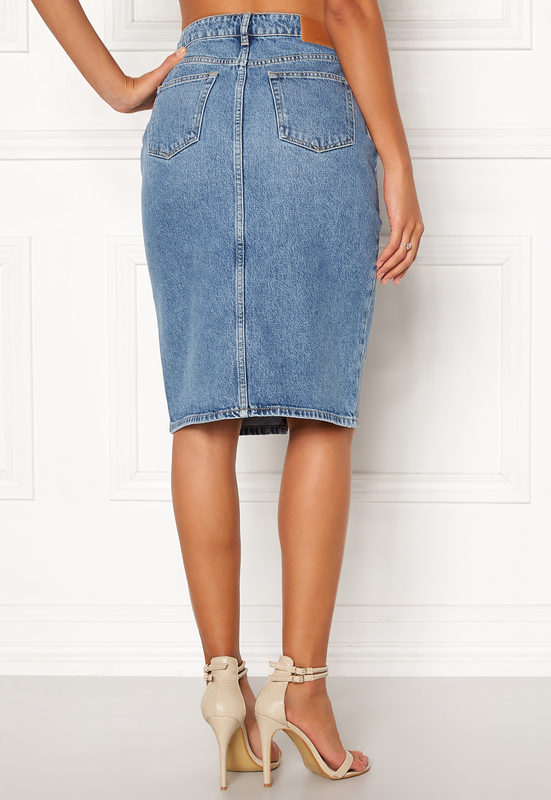 Lovely denim skirt from SAMSØE & SAMSØE. 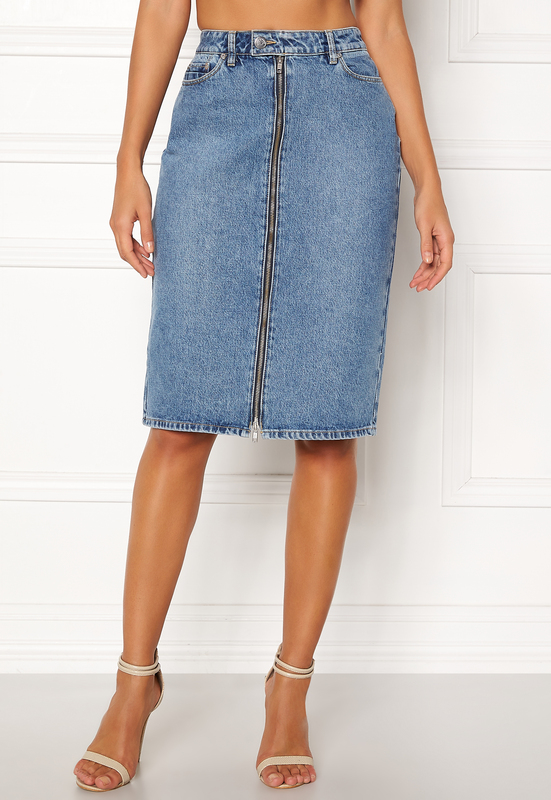 The skirt is a shapely fit and has a zippered closure. The dress is perfect for everyday wear or festive occasions. - Light stretch, woven quality - Buttoned closure at front - 5-pocket style Back length from shoulder 64 cm in size S. The model is 176 cm tall and wears a size S. Machine wash at 30 degrees.